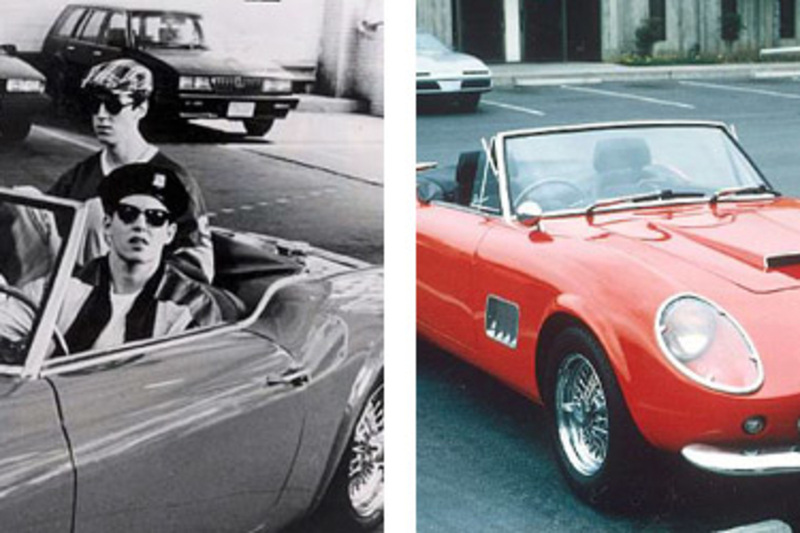 In one of the more disappointing developments in recent movie memorabilia memory, it turns out the Ferrari 250GT Spyder California made famous in Ferris Bueller's Day Off wasn't really a Ferrari. Better news? If you have the means, you can now pick it up for yourself. The Ferris Bueller's Day Off Ferrari ($TBA; Auction) is actually a painstakingly built replica, made by Modena Design & Development, of El Cajon, California in 1985. Apart from having the same wheelbase as the original, much has changed in this convincing recreation, all the way down to its engine — a Ford V8 instead of the original Colombo-designed V12. Now that is disappointing. It's one thing to build a supercar from the ground up. 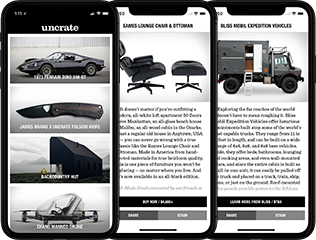 It's something else to take a sports car, break it apart, lengthen it, and put it back together with a different engine inside. Yet that's exactly the case with the Hennessey Venom GT ($TBA). Limited to just 10 per year, the ultra-exclusive Venom GT is based on the Lotus Elise, but is powered by the Corvette ZR1's supercharged 6.2 liter LS9 V8. Hennessey has tuned the stock engine's output up to 725hp, but will also offer twin-turbo versions putting out 1,000 and 1,200hp, respectively. Other Ferrari-fighting features include a six-speed Ricardo gearbox, 15-inch carbon ceramic brake rotors, a programmable traction control system, an active aerodynamics system with adjustable rear wing, and massive Michelin PS2 tires. The Bat signal awaits. Four-door Veyron, anyone? While it's still just a concept — production models aren't expected to arrive until 2012 — the Bugatti 16C Galibier ($TBA) is very much a sedan successor to the blindingly fast supercar. Its engine will boast the same 8.0-liter W-16 architecture as the Veyron, but will employ two superchargers in place of the two-door's quad-turbos; other features will include dramatic LED-laden headlights and taillights, a unique dual-opening hood, a main "spine" running the length of both the exterior and interior, an eight-speed automatic transmission, eight individual tailpipes, and a luxurious, yacht-worthy interior. As for the price, you'd better start planning your bank robberies now: it's rumored to top the one and a half million mark. For those of you who think the Z4 is a too girly for your taste, feast your eyes on the BMW Motorsport Z4 GT3 (€298,000; roughly $410,000). While it's not meant as a daily — or even on-the-street — driver, the Motorsport Z4 GT3 has you covered in the track performance department, with a 4.0 liter V8 engine good for 480 hp, sequential, six-speed gearbox, rims with locking and safety clips, racing ABS, and optional(!) air conditioning. God bless Gran Turismo, for giving us a chance to "drive" cars that we could only afford if we hit a Hurley-sized jackpot. The Koenigsegg Agera ($TBA) would qualify as one of those cars. This Swedish-built supercar sports the same 4.7-liter V8 as the company's prior CCX, but ups the ante with 910 hp, good for a 0-62 time of 3.1 seconds and a top speed of over 242 mph. As if that weren't enough to entice you to spend your virtual dollars, the Agera also sports LED headlamps, new front and rear fascias, and a carbon fiber and aluminum chassis that helps bring the beast's weight down below 2,900 lbs. Oh, and having lottery-winning money isn't the only requirement for ownership: only 16-20 will be built each year, meaning that you'll have to win the lottery all over again in order to get your hands on one. While we think there's nothing wrong with the MB SL65 AMG, well-respected tuners Carlsson apparently saw plenty of room for improvement, as evidenced by the Carlsson C25 ($TBA). This ultra-exclusive supercar — only 25 will be made, with one going to each of 25 countries in which it will be sold — boasts a modified body with even more moxie than its plain counterpart, performance specs including a top speed of 218 mph, a 0-62 mph time of just 3.7 seconds, and 753hp delivered by a six litre Mercedes-Benz V12 Bi-Turbo power plant, an intelligent lowering system C-Tronic suspension which automatically recognizes road characteristics and driving manners and constantly adjusts the suspension settings accordingly, ultra-light forged 20-inch wheels, and more. Thinking of starting your own racing team? The Porsche 911 GT3 R (€279,000; roughly $390,000) is a good start. Designed and built by the Porsche Motorsport Department at the company's Weissach Development Centre, this 911 race car is powered by a 4.0-litre six-cylinder 'boxer' engine delivering 480 hp, and features an ultra-lightweight chassis and body for a total weight of just over 2,600 lbs., height-adjustable MacPherson struts in the front and a height-adjustable multi-arm axle in the rear, LED rear light clusters, an anti-lock braking system, traction control, and an electronic throttle, all of which combine to make the GT3 R easier to handle and drive than past 911 racing models.